In the corporate field, or even in schools and colleges, before you take any step, you’re required to produce a permission letter. Such a letter is highly formal in nature and mainly reserved for official purposes. Naturally, it has a solemn and sombre tone and a specific format. Unless you have an idea of what the format should be like, you should take professional help. For that, you could take a look at these Letter Templates here. If you’re going to be travelling, then you’ll need a leave from your place of work. 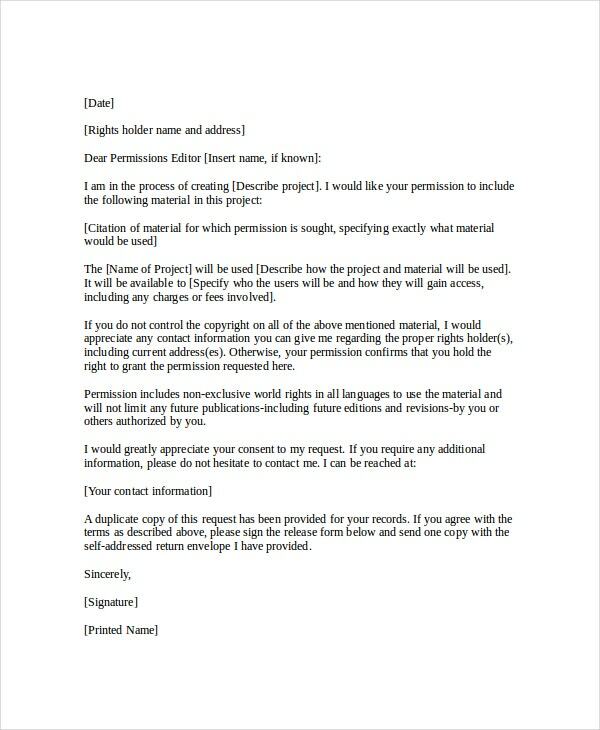 You could use this specialised permission letter template to ask for the leave. You may also see Letter of Intent Templates. When you’re referring to a work with copyright, such a formal permission letter is mandatory if you want to avoid legal troubles. For that, you could use this amazing template. If you’re going on medical leave or are joining back from sick leave, you would have to produce a medical permission letter authorised by a doctor. Why not just use this template? 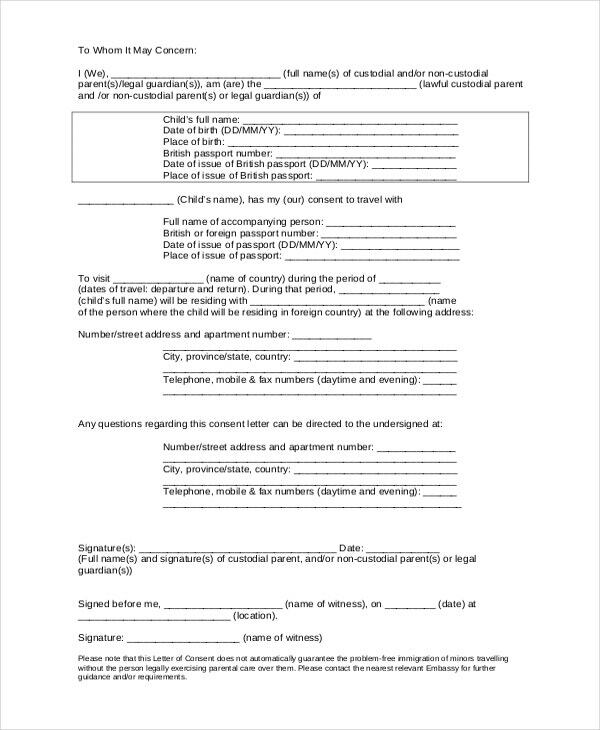 To get parental consent for something, you could use this template. You could download this template to study the format given here and follow it down to the last detail. In order to get a permission letter from your guardian, you could use this template. Seldom will you come across a permission letter template that is as neat and well organised as this. To get the permission for the venue for any event, you could use this template. It comes in a pdf format and consists of all the information that such a permission letter should have. Given the varied use of permission letters, there are actually quite a few types of them in existence. For instance, you have medical permission letters. If you have been ill for a while, you need to produce such a letter at your place of work or educational institution before you rejoin. You may also see Notarized Letter Templates. 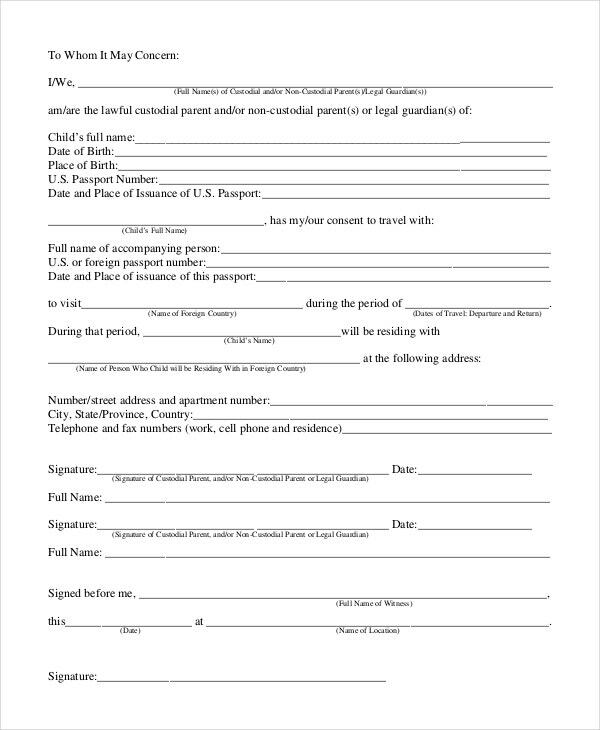 You also have parent permission letters. If you’re under the age of 18, you would require the consent of your parents before you do something. There are also event permission letters. 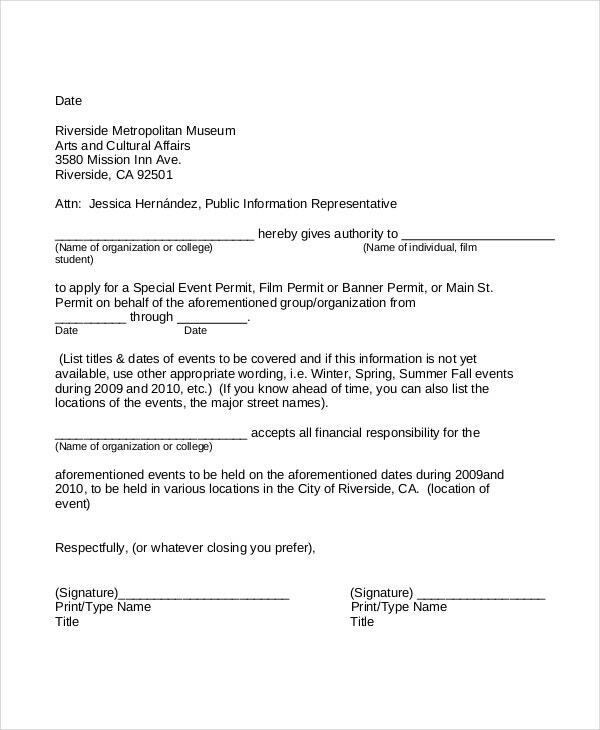 For example, you would have a permission letter guaranteeing you the use of a particular venue for an event. Don’t miss out important details in your permission letter. That would be defeating the whole purpose. State the subject in a clear and bold manner before you proceed with the letter. Stick to the formal and official tone that such permission letters are expected to have. Use permission letter templates like the ones here, which can help you create the letter without much of a hassle. The templates are 100 % editable. Once you download a template, you would be able to edit the details provided in it. The templates come in formats that are very easy to use. You shouldn’t have much difficulty while you download, edit and save a simple Word document. The templates adhere to the standard pattern that is accepted universally when it comes to permission letters. 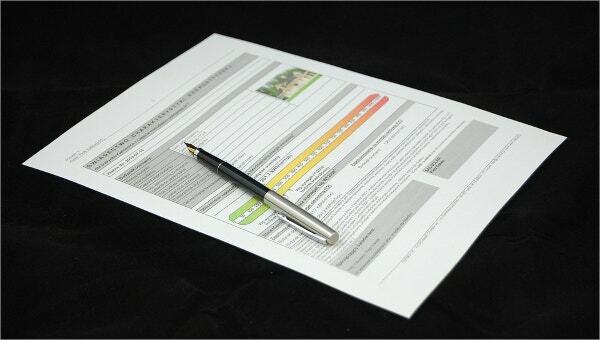 The templates have been designed specifically to suit your purpose. 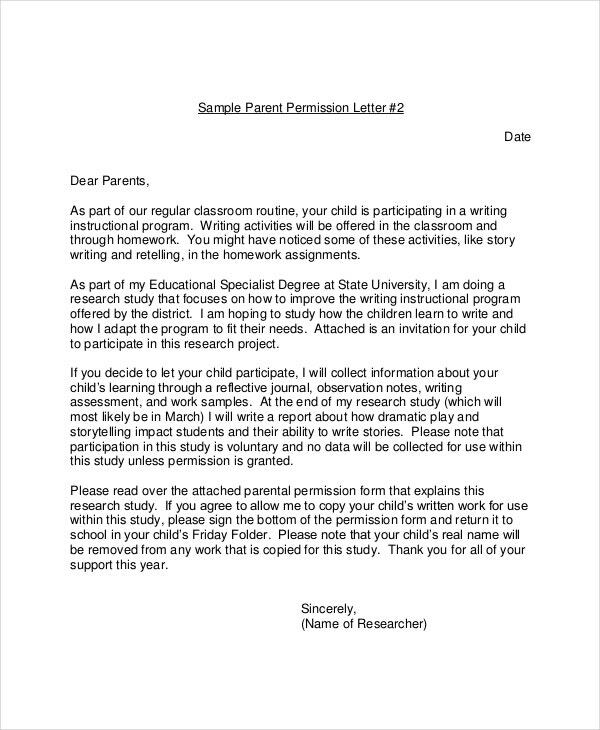 Writing a permission letter can be incredibly challenging unless you have these templates to help you out. All you have to do here is browse through the templates, select the one that suits your purpose, download it and then customise it. The next time you need a sick leave, you’ll know what to do.